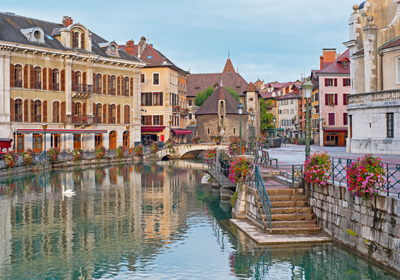 Nicknamed the "Venice of the Alps", Annecy is a beautiful Medieval, lakeside town in the Haute-Savoie region of France. 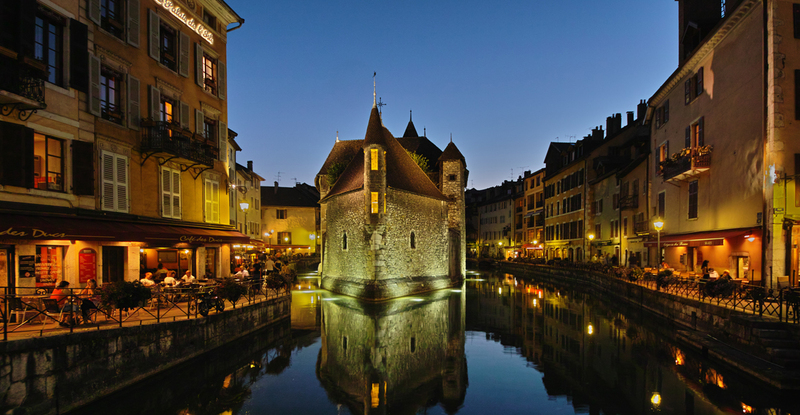 Located just 45 minutes south from Geneva by car, Annecy is characterised by the 2 canals which wind their way through the historic centre and the bridges which traverse these waters. The old town is well-preserved and has a genuine sense of history offering a good range of restaurants and bars. 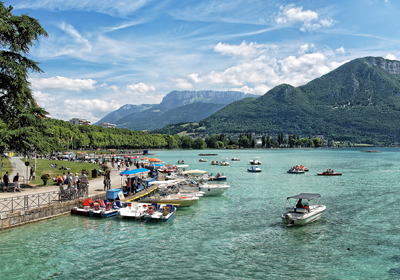 Renound for its harmonious landscape and the purity of the lake's water, the Annecy region is a popular Alpine destination all year round thanks to the wide array of outdoor activities, historical sites and cultural exhibitions. This is truly an Alpine town that ticks all the boxes. Whilst Annecy does not have direct access to any skiing, Le Grand Bornand and La Clusaz are both easily accessed by car in around 45 minutes. Alternatively you can take a bus up to the mountains for around €8. Direct trains and buses also run to Chamonix. Summer is the peak season in Annecy; the streets are bustling, restaurant terraces are open and ferries and cruises run across the lake. Your summer will probably be split between the relaxing beaches, and all the water sports available around the lake itself, and the broad range of bars and restaurants dotted through the area. The idyllic lakeside scenery provides the perfect backdrop for a wide range of outdoor activities. 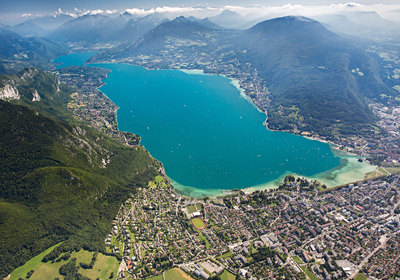 Whether it is golfing, hiking and cycling you are after or more hair-raising pursuits like via ferrata, climbing, para-gliding and piloting a microlight, there are a wide number of local companies catering to Annecy's summer visitors and residents. Annecy is a well-established town, with some form or other of town existing in this position since Roman times, so as you would expect there is a substantial range of properties on the market across the town and surrounding lakeside regions. The properties we list in Annecy, however, are primarily large, luxurious villas in lakeside positions complete with swimming pools, high spec finishes and unobstructed views.